The Festive Mix Gift Box is a perfect present for any food lover, or a lovely gift to inspire any friend or relative to explore the many easy meal possiblities. 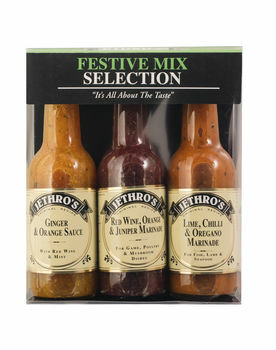 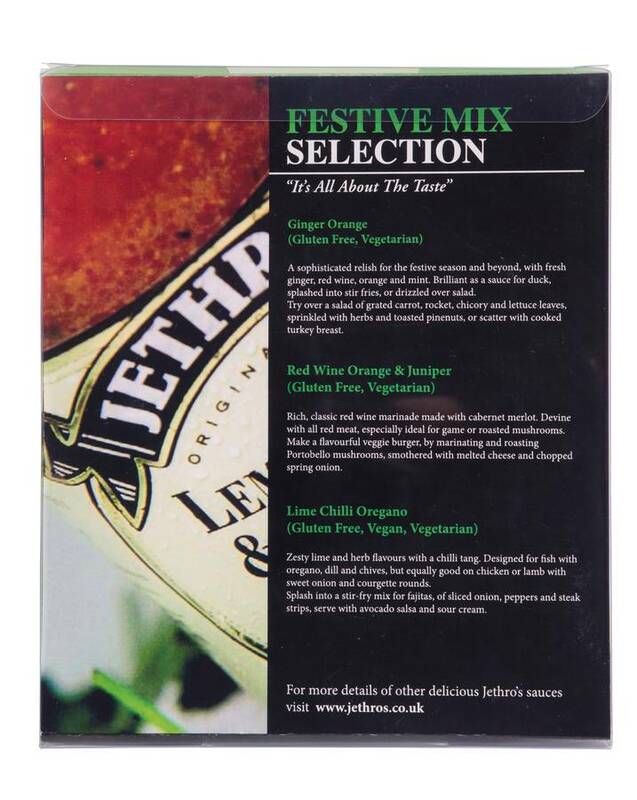 Full of festive flavours to satisfy everyone in this delicious mix of sauces and marinades. 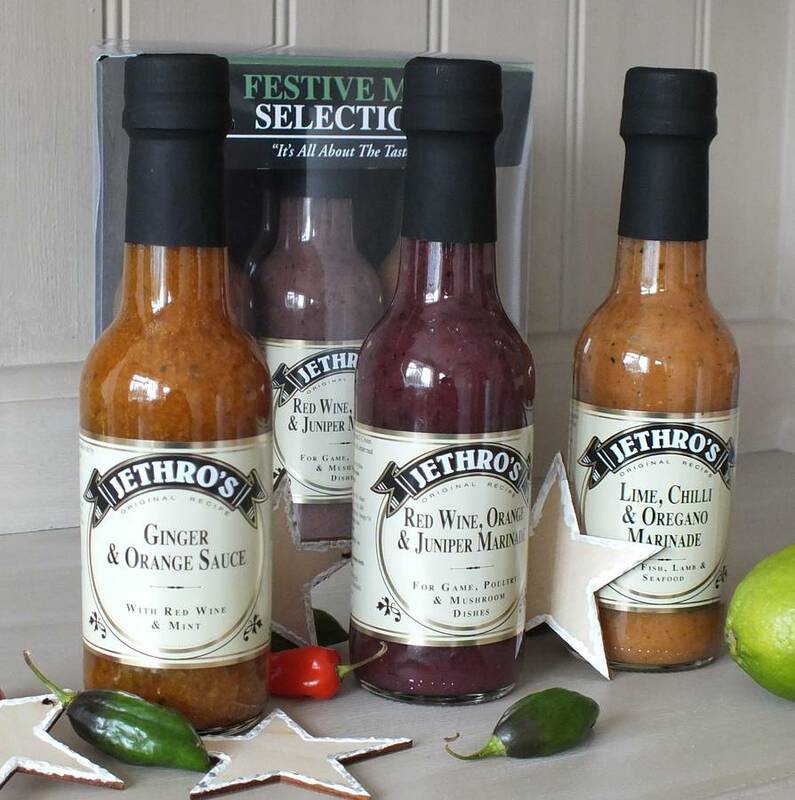 This product is dispatched to you by Jethro's Marinades.